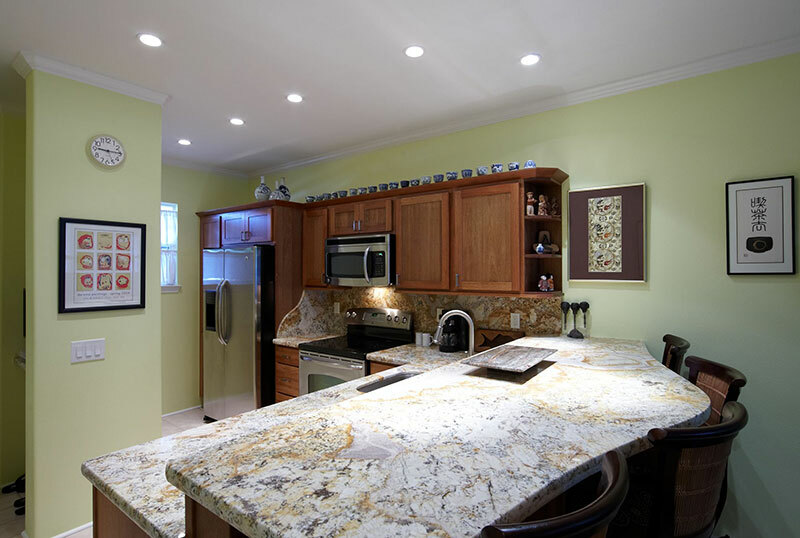 This unique, contemporary kitchen features granite counter tops that transition to a custom concrete backsplash. 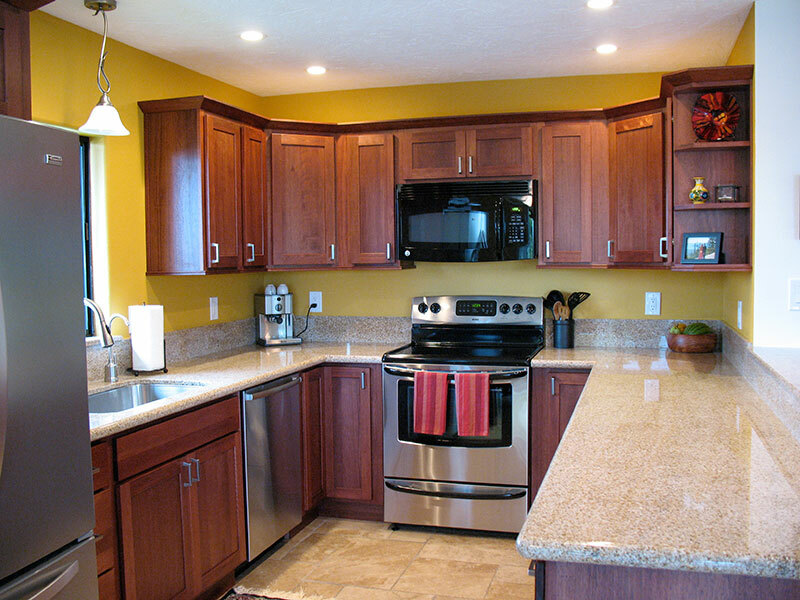 The shaker style cabinets - supplied by our friends at Alexanders Kitchens and Baths - show off the natural beauty of the unstained lyptus wood. Low voltage under-cabinet lighting add beauty and function while the top and bottom crown moulding complete the design. 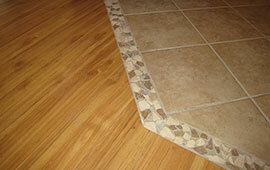 All of this is offset beautifully by the Merbau wood flooring. 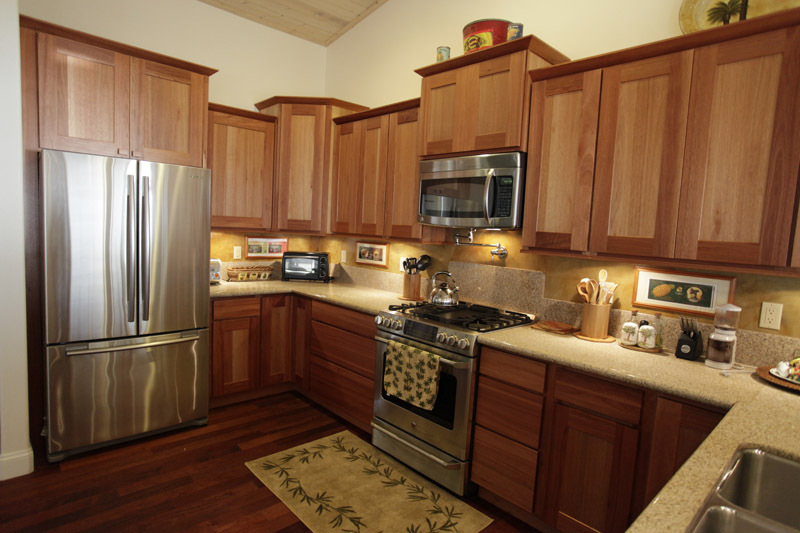 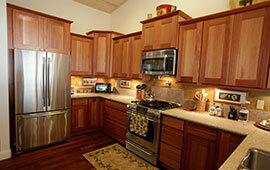 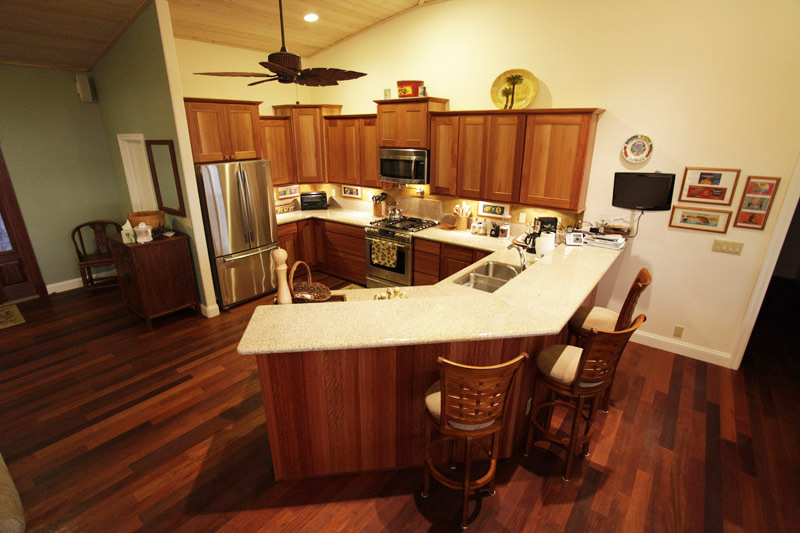 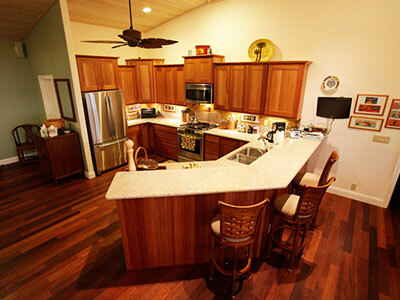 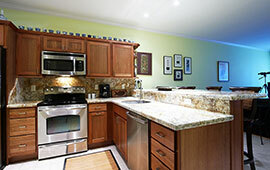 See this entire room in our virtual kitchen tour. 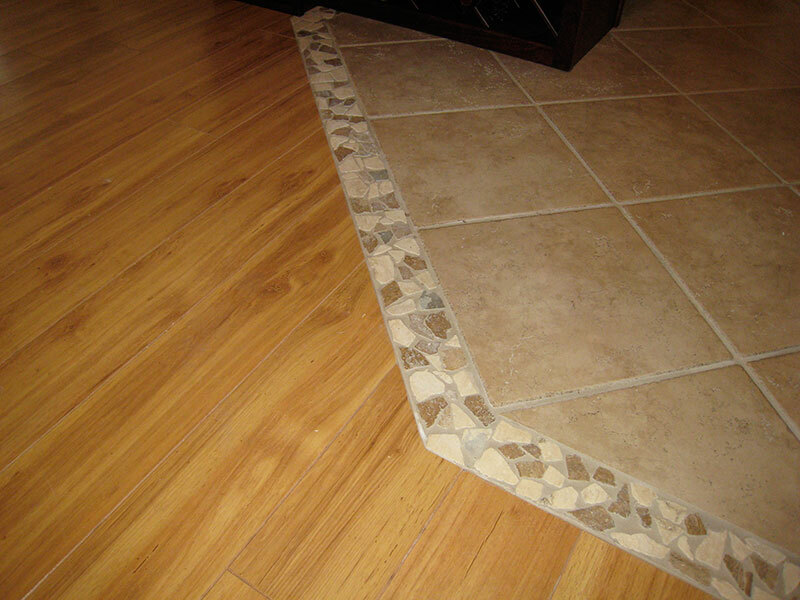 This elegant porcelain tile floor is set on angle and ties into the existing hardwood with a custom decorative transition. 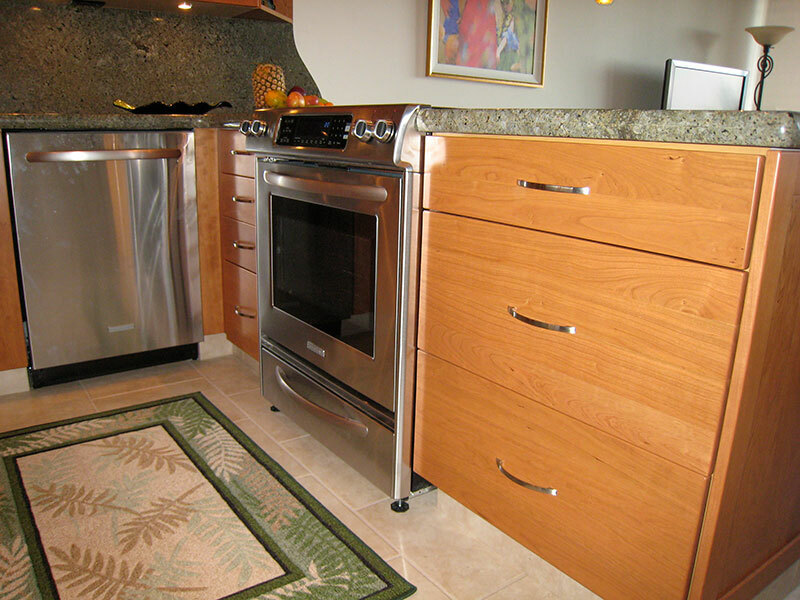 Cherry cabinets surround and encase this French door refrigerator and are adorned by Kashmir Gold granite counters supplied by our friends at Hawaiian Ceramic Tile. 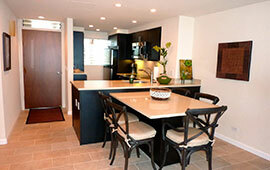 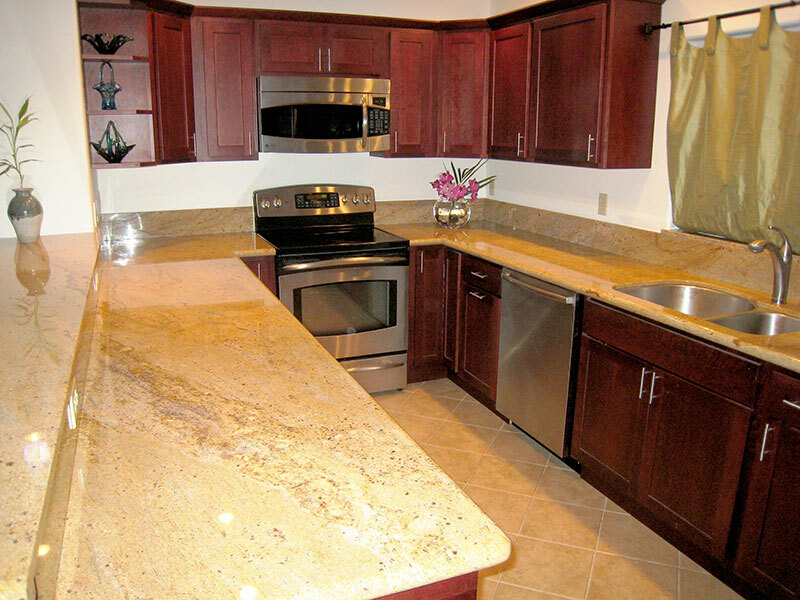 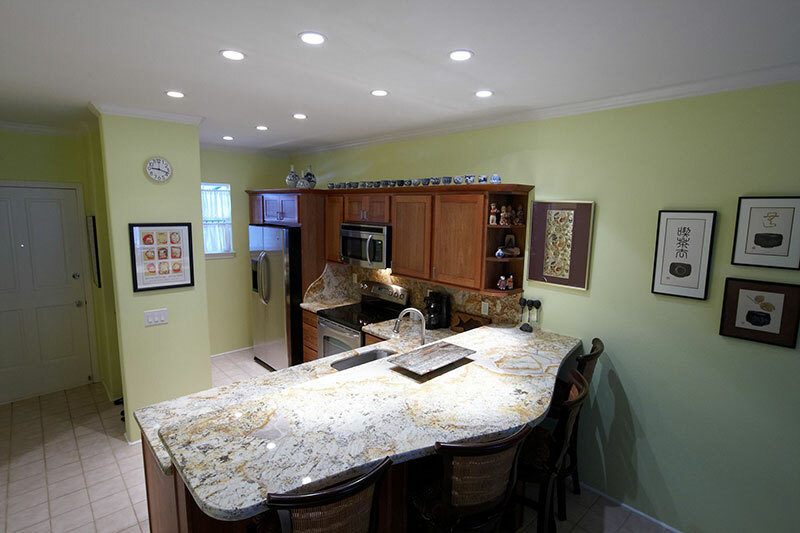 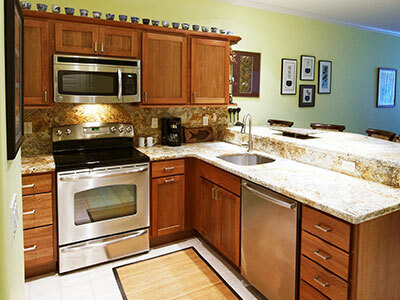 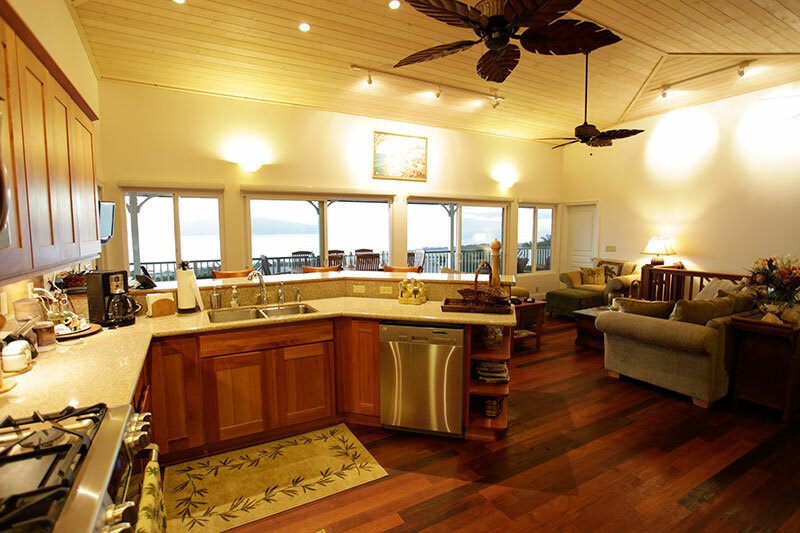 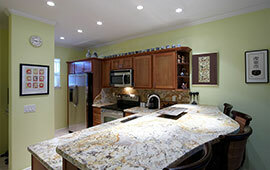 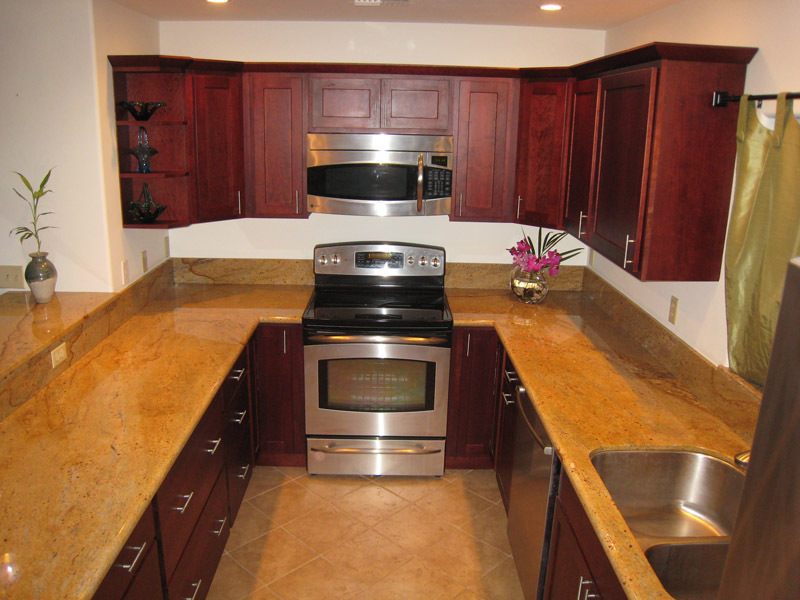 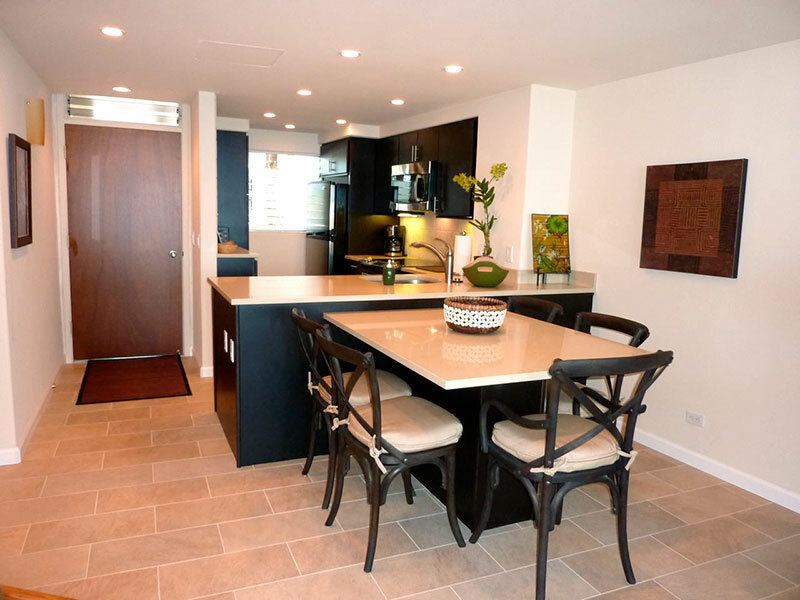 Other amenities include an undermount sink and multi-level bar with custom low-voltage pendants for accent lighting. 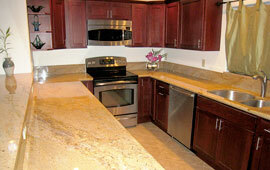 These beautifully sculpted custom granite counters and bar were done by our friends at Jurassic Stone Works. 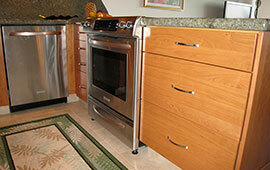 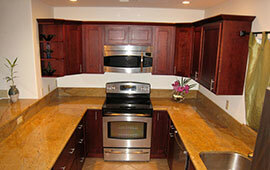 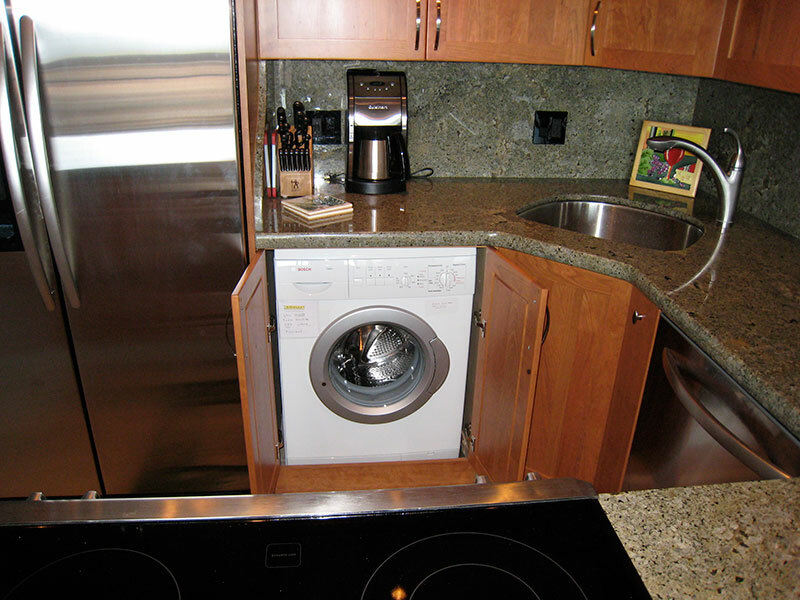 The full height backsplash and custom sidesplash integrate beautifully with the lyptus cabinets. 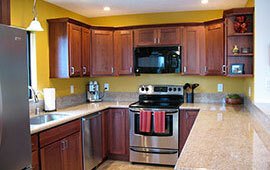 Decorative corner shelf and crown moulding finish the look. 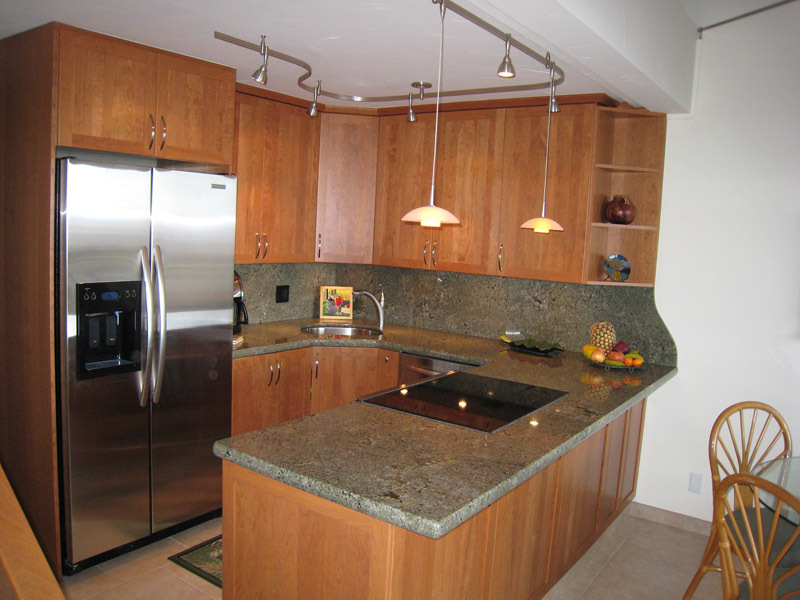 The rich color of these lyptus cabinets balances beautifuly with the Padang Yellow granite counters of this open kitchen. 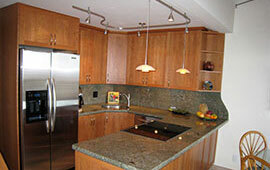 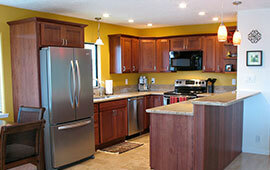 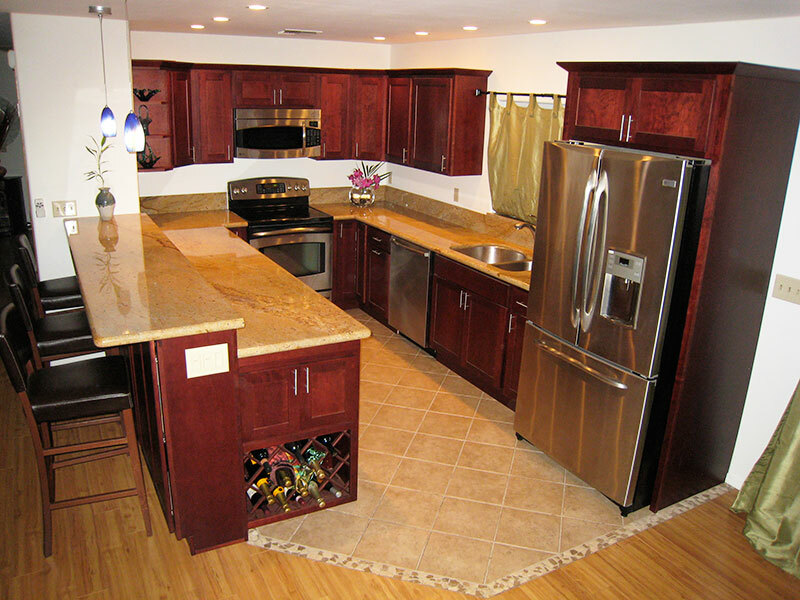 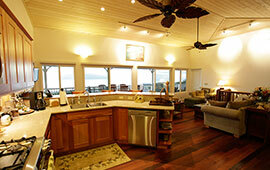 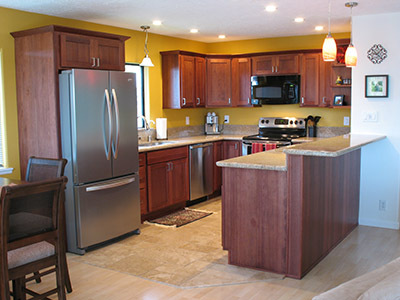 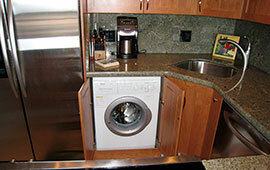 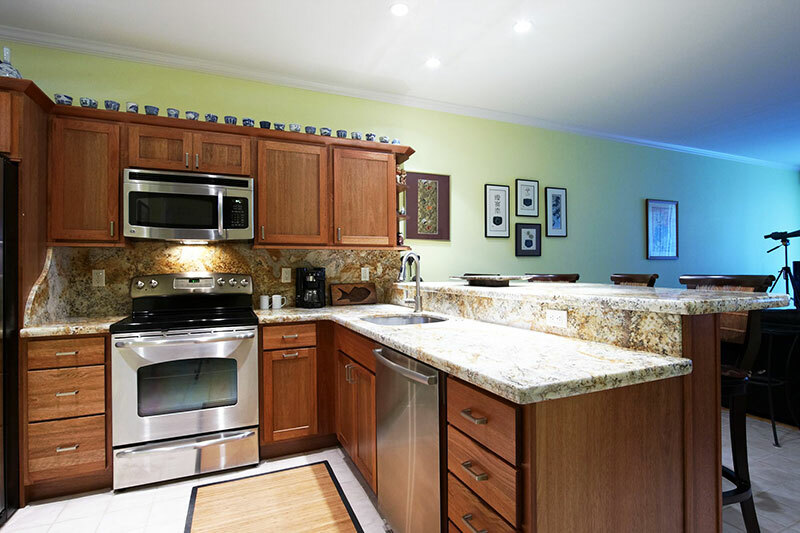 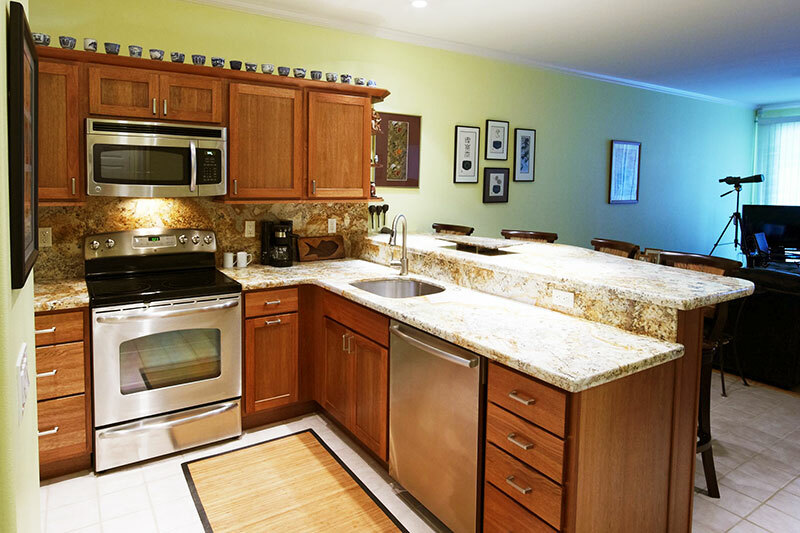 It features a fully encased refrigerator, undermount sink and two level bar with pendant accent lighting. 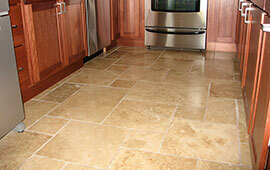 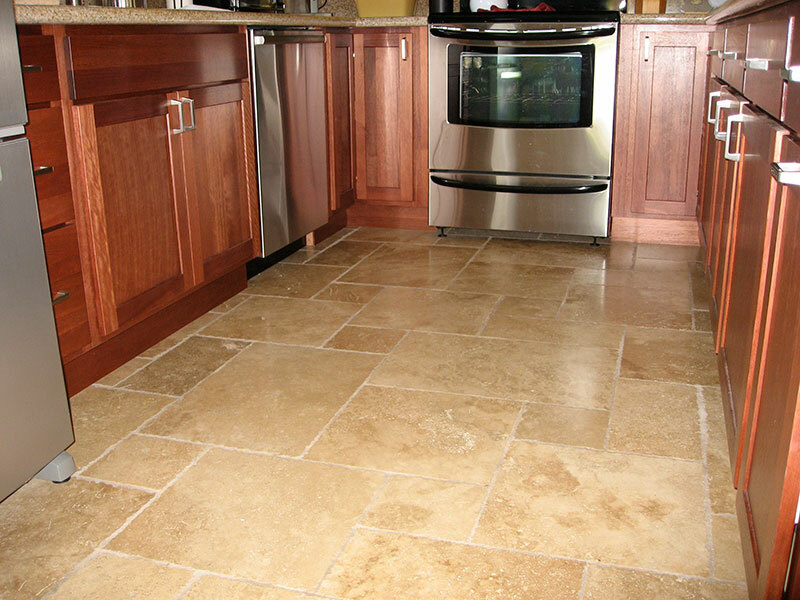 The natural variation of the 4 piece pattern travertine tile adds character while a bullnosed edge provides a borderless transition to the existing laminant wood floor.